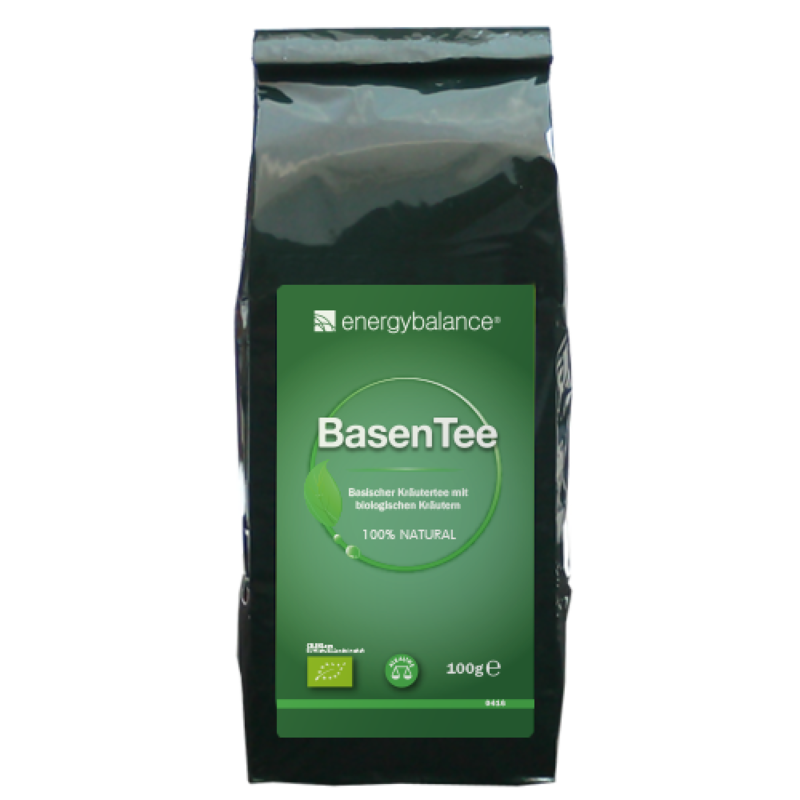 This tea promotes balanced acid-alkaline levels and gives you a sense of well-being. The specially selected organic herb combination helps the body's natural regulation processes and provides a variety of valuable alkaline elements. All herbs are certified organically grown, have a unique flavor and make our EnergyBalance alkaline tea easy to digest. The recipe for our herbal tee is based on the findings of alternative practitioner, Mathias Leisen. His research and practical experience go back almost 100 years. In 1910, Leisen began studying which elements were contained in which herbs. The family of alternative practitioners from the city of Sinzig on the Rhine river used the results of their testing methods and analyses to develop a method for treating and healing diseases relating to residues and waste products. Based on this approach, they created a table that lists the name of each plant next to the elements found in the tests. The chemical elements listed can be found in the organism in the form of solid deposits, commonly referred to as waste products. This therapy corresponds with Leisen's empirical data, known today in naturopathic medicine as the Leisen treatment and based on the homeopathic principle of "like dissolves like". 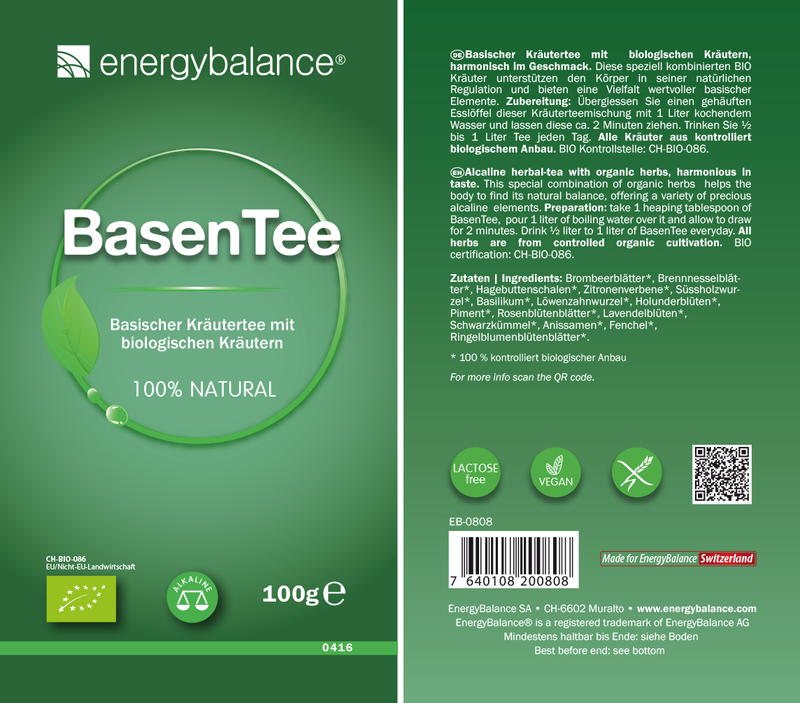 Why does EneregyBalance alkaline tea contain these herbs? The careful, systematic combination of these herbs and spices in our alkaline tea is an advancement of the Leisen treatment, which today can be appreciated for its scientific value after more than 80 years of treatment experience. One can assumed that the herbal mixture contains each of the elements in the periodic table at least five times. When we drink this specially formulated alkaline herbal tea, we are consuming the same elements that put strain on the body, causing these to dissolve. 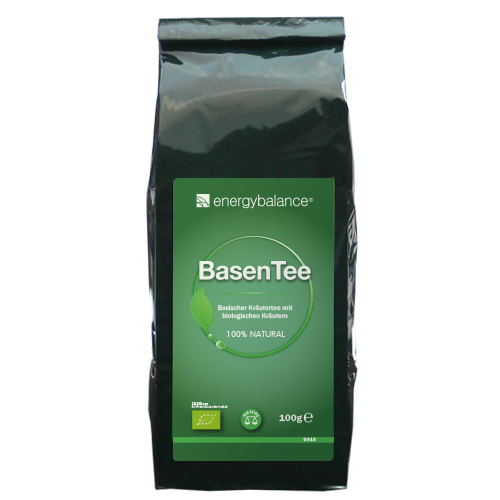 The highly regarded effect of this premium waste product dissolver is what makes our alkaline tea so effective and special. Unique, wonderful flavor and very effective. Make your next cup of tea a healthy, gentle detox for the body that will lift your spirits and sooth your soul. Start with one to two cups of tea a day. After a few days, you can drink up to 1 liter of alkaline tea a day. We also recommend drinking 1-2 liters of non-sparkling water a day. Blackberry leaves, stinging nettle leaves, rose hips, lemon verbena, licorice, basil, dandelion root, elderflower, pimento, rose petals, lavender flowers, black cumin, aniseed, fennel, marigold petals.